Imagine riding a giant silver sled across the bottom of the ocean. As fun as this sounds, it's no joyride: your job is to collect all the tiny crustaceans, molluscs and other creatures in your path, and bring them into the light of day. This is essentially the task of the Brenke sled on the CSIRO RV Investigator. This metal marvel is brand new for this trip, made from stainless steel with two plankton nets (one upper and one lower) for catching the micro life of the abyssal seafloor. 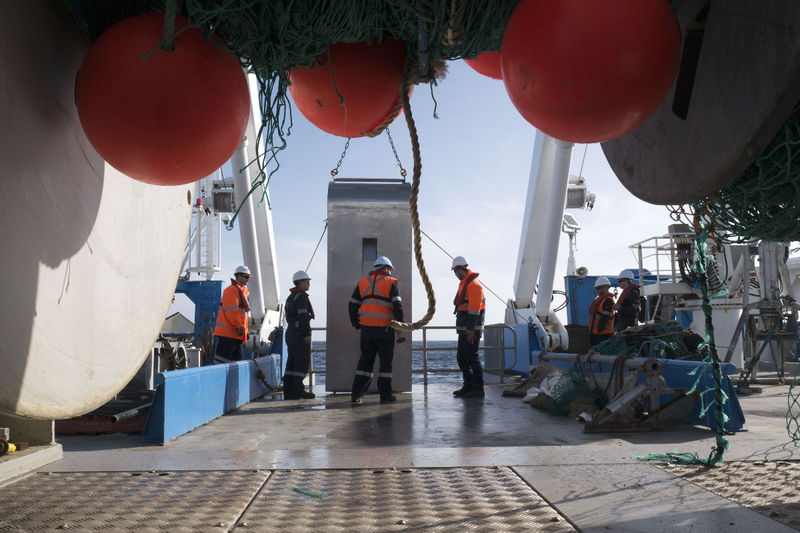 To begin its descent, this 600-kilogram contraption is lowered from the deck on nearly nine kilometres of tow cable weighing more than seven tonnes. Floats on top of the sled help to keep it upright as it is towed through the water at four to five kilometres an hour (2─2.5 knots). When the sled finally reaches the bottom, an ingeniously placed lever beneath the sled is pushed down by its weight, opening the front doors. The exclusive Brenke Bar is now open for business. Abyssal water rushes into the nets, accepting any and all microorganisms and sediment in their path, which are funnelled down into the cod-end tubes at their base. 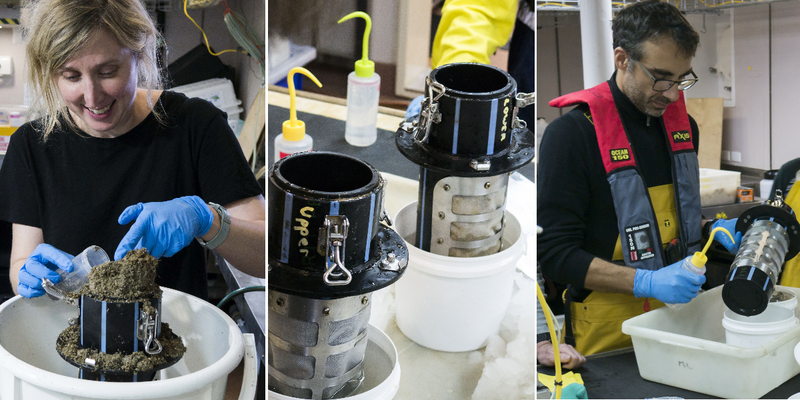 Bringing these tubes with their precious cargo back up from the frigid waters of the abyss (about two degrees celsius) to the warmer environment above (14–18°C) requires extra care. To protect all the cold-loving animals from the sudden jump in temperature, the cod ends are kept in a bath of abyssal water, which accompanies them to the surface. 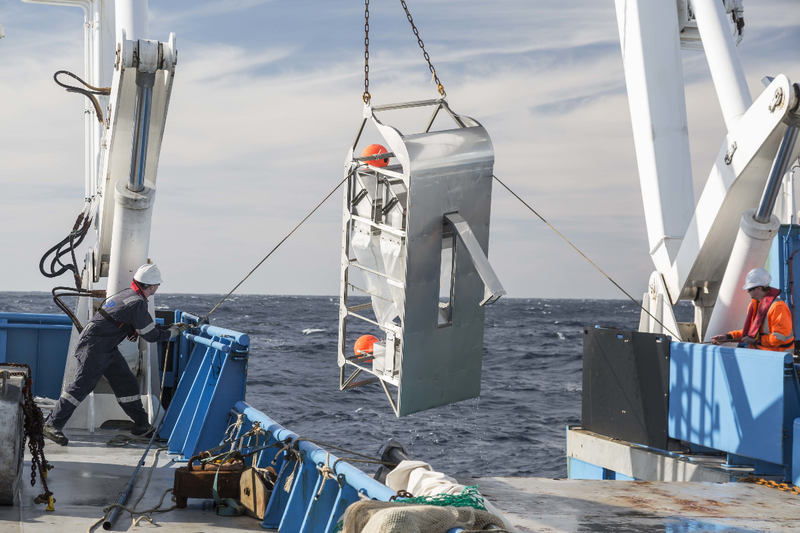 Once the sled has been retrieved the real fun begins as it is the scientists spring forth to sift through the deep sea detritus and extract the nuggets of biological gold: invertebtrates and other small organisms to be sorted, identified and catalogued. 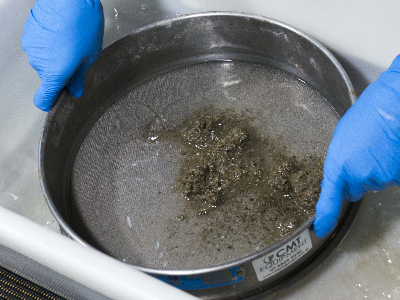 The micro-life of the ocean floor is slowly being revealed to us, one muddy basket of sediment at a time. Today's sunlit refections from Asher Flatt . . . Today started great. I woke up before my alarm at 6:30 and ambled upstairs to the viewing deck to watch the sun come up in truly spectacular ocean fashion. There was a golden halo silhouetting a cloud on the horizon, which was all very well and good but not the best I've seen. I've started a photo competition with John the fishing technician to see who can capture the best sunrise/sunset photo, so I was hoping for rolling clouds, whales and flying horses. A beam trawl came up later in the afternoon, which was exciting for the fact it had a strange fish in it that no one had seen before. A weird jelly like specimen with no eyes, small red nostrils and a mouth like the end nozzle of a vacuum cleaner (for lack of a better description). We will have to wait and see if it is an undescribed species. We are currently in the Jervis Bay Commonwealth Marine Reserve and the weather today has been lovely. Sun shining, a refreshing breeze and not too much chop in the water to send the ship pitching and heaving. I sat on the deck in the late morning and looked up to see a tern hovering lightly on the wind just off the railing. 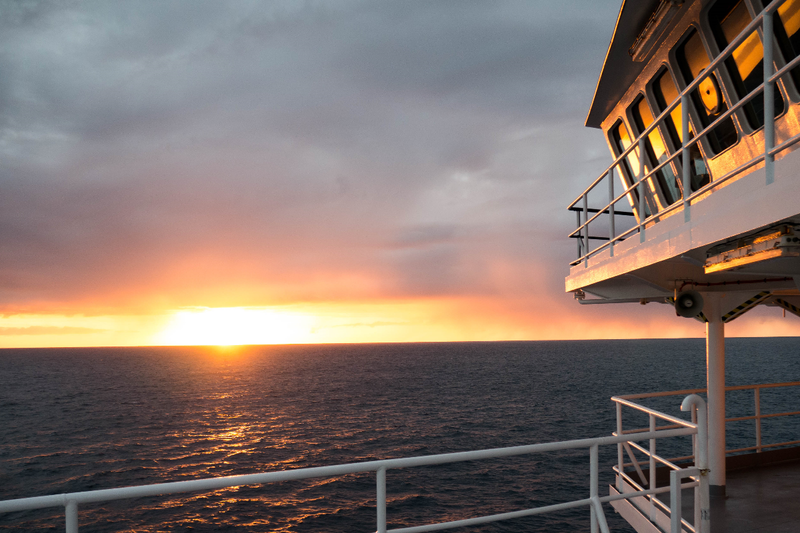 We are currently in transit from a deepwater site of 4000 metres to a shallower site of 2500 m.